Product Review: Sentey Brio LS-2100 Power Bank: Portable Power in the palm of your hand. Disclaimer: I was sent this product complimentary in exchange for an honest & fair review. The thoughts in this blog are my own. I love all of my tech gadgets. As I go through out my day keeping my smartphone & other items powered up is an issue. Finding an available wall outlet can be often hard to find. No matter how much you use your tech gadgets a portable power bank is a must have. Recently I became a member of Sentey Power User community. As a power use get the chance to test products, and share my thoughts on them. 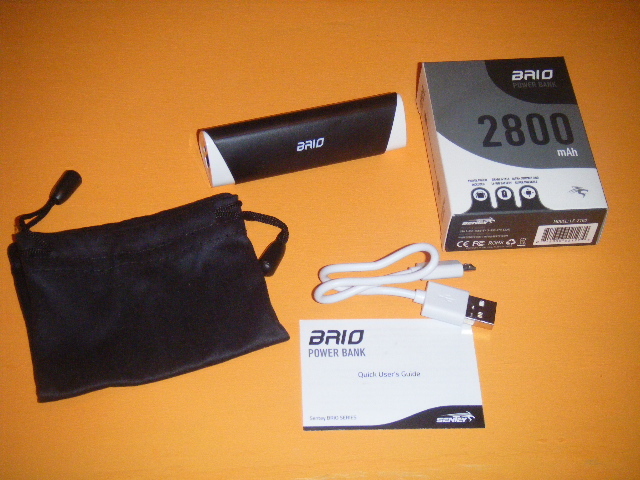 My first review for Sentey is their Brio LS-2100 power bank. Have been using this product for a couple of days now, and wanted to share my thoughts. 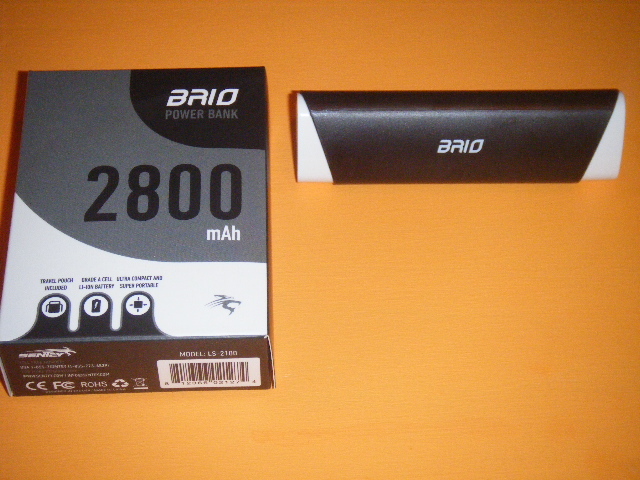 The Brio LS-2100 has 2800 mAh battery capacity. First think you will notice is the small size of the Brio Ls-2100. It’s about the size of a lipstick, and it’s lightweight. This power bank could easily fit in a shirt pocket. 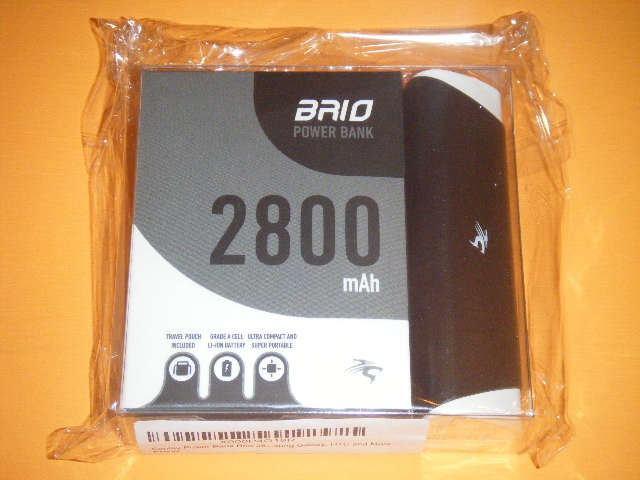 Upon opening your package you will see the Brio LS-2100 power bank & a box. In the box you will find your Micro USB Cable, and a carrying pouch to keep it all together. Very impressed that Sentey includes the extras as many companies do not. This power bank is so easy to use. Often people think of simplicity as a bad thing, but I have to disagree. 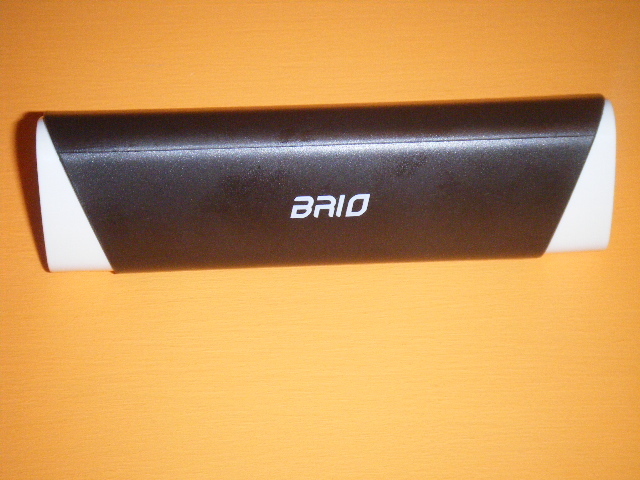 Love the simplicity of the Brio LS-2100. It’s basically plug & play or should I say use technology. Feel this would be a great power bank for anyone who needs portable power. Look the more buttons, and flash lights, and displays added make your power bank bigger & heavier. Personally I like the small size, and it’s lightweight. Portable power bank that is easy to use. No guess work. Upon receiving your now power bank you will want to charge it. Connect your Micro USB cable to the power bank. Then connect the cable to either a USB port or an adapter. As my Brio was charging the led light was an orange color. When it was finished charging the led light switched to blue. To fully charge the power bank maybe took 2 and half hours. Like the fact that the power bank did not run hot, and that is rare. 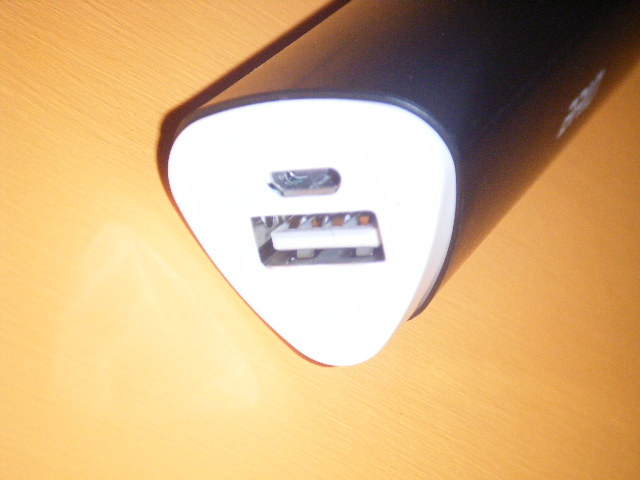 Now that your power bank is fully charge you can use it to charge your smartphone, Mp3 play etc. I have a Samsung Galaxy S4 smartphone. Let my phone’s power die to see how long it takes to fully charge. The charging time from no power to 100% was an hour. Things to know about the Sentey Brio LS-2100 it’s a grade A lithium-ion battery. This power bank will work for most phones & electronics. Apple adapters are not included. This is an awesome power bank for anyone from the tech savvy to even technologically challenged. This is a great product that’s so easy to use, and it makes a terrific gift. Please check out the links to purchase on amazon, and visit their homepage. Thank you Sentey for allowing me to try the Brio LS-2100. Want to thank all of my readers for visiting my blog. Have a blessed day. 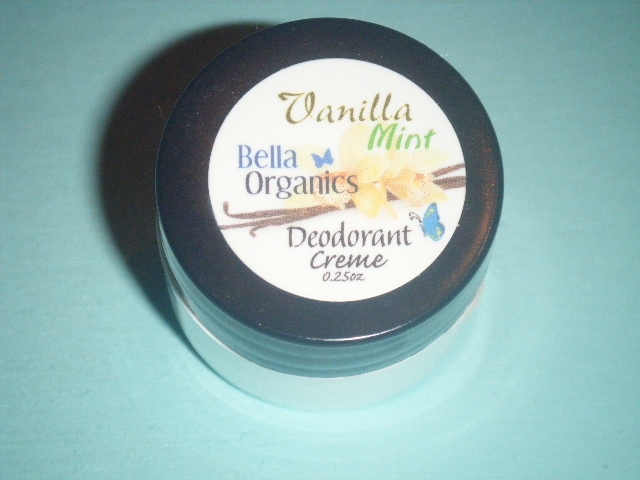 Product review & giveaway: Bella Organics Vanilla Mint Deodorant Creme. Disclaimer. I was sent this product complimentary in exchange for an honest & fair review. All thoughts expressed in this blog are my own. Happy Thursday everyone. I hope that all of you are having a terrific day. Yes I am back with another product review & a giveaway. Today’s product is from Bella Organics, and it’s their Vanilla Mint Deodorant Crème. Product Description: Organic, chemical-free cream deodorant that really works! Organic arrowroot powder absorbs wetness naturally. Organic Shea butter soothes and moisturizes dry skin. Coconut oil has natural anti-bacterial properties as well as soothes and conditions the skin. Organic peppermint and organic tea tree essential oils provide anti-bacterial and germ-killing anti-septic properties. It leaves you feeling confidently cool, fresh and clean. How to use the product: Directions for use: Scoop a pea-sized amount from the jar with clean fingers. Rub onto each underarm until deodorant is applied. I have to be honest the idea of a natural deodorant is new to me. At first I was concerned if this product could really help control body odor. This is my first time experiencing a natural deodorant. Upon opening the product it has a delightful scent. Was happily surprised that the scent is true to the name Vanilla Mint. This product does not overpower. This product is very easy to use. With clean fingers scoop a pea sized amount from the jar. Next rub onto each underarm. The scent is clean & natural. After applying the deodorant crème you will notice a slight warming sensation. Think the warming sensation comes from the peppermint & tea tree oil. 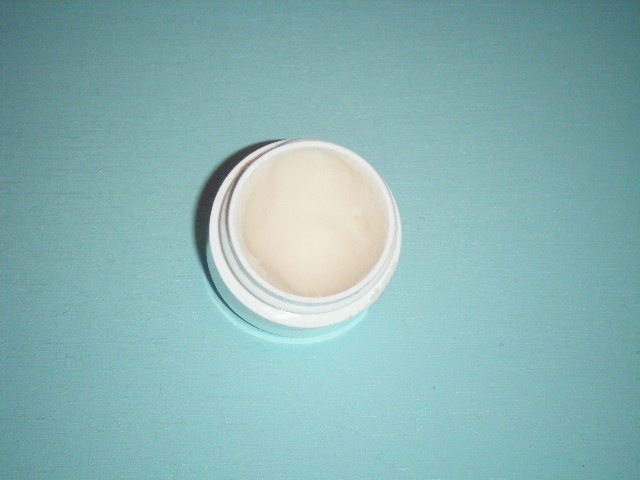 The deodorant crème is an off white color, and the texture is true to the name. 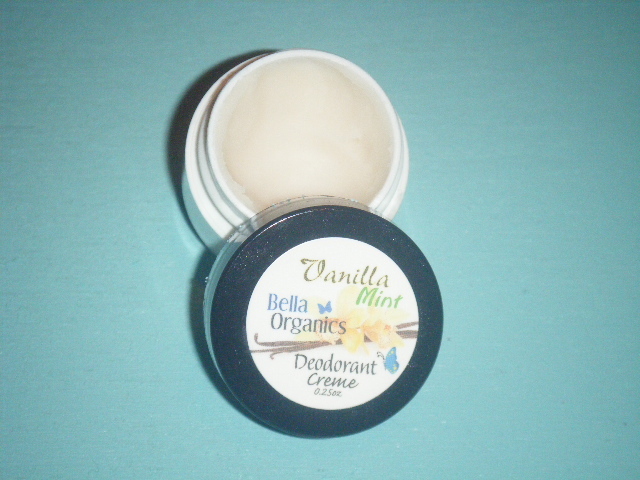 Bella Organic’s Vanilla Mint Deodorant Crème is a natural product. This product is also organic & I love that. Let me share with you the entire ingredients list. Ingredients: Ingredients: Organic Shea Butter, Organic Arrowroot Powder, (Vegan), Organic Sunflower Oil, Organic Virgin Coconut Oil, Aluminum-Free Baking Soda, Organic Peppermint Essential Oil, Organic Vanilla Extract, Organic Tea Tree Essential Oil. I have used this product for almost a month now. Yes at first I was skeptical about using a natural deodorant. From the first use I was happily surprised with the performance of the Vanilla Mint Deodorant Crème. Using this product felt protected from body odor, and confident too. So how does it perform to the mass market deodorant’s? It surpasses any of the store bought deodorant’s. Would recommend this product 100% to anyone & everyone. Now onto the contest. Bella Organic’s will give one of my readers a free 2 oz deodorant crème. Will use rafflecopter to run the contest. After the winner is chosen will need your name, and mailing address. Will pass that information along to Bella Organics, and they will mail the product to you. Please click on these links to visit their homepage,twitter & facebook accounts. Would like to thank both Bella Organics, and Tomoson for allowing me to try this product & have a giveaway. Let me also thank all of my friends for reading my blog. Love when you comment, and we can interact together. Have a blessed day. Disclaimer: I was sent this product complimentary in exchange for an honest & fair review. 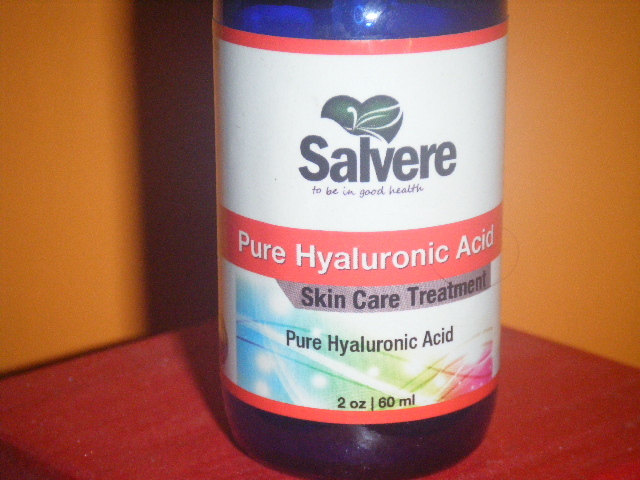 As I have said it’s from Salvere & it’s their Pure Hyaluronic Acid Skin Care Treatment. Once again I will refer to this product as a “serum.” So why would you want to choose a hyaluronic acid product? This is what Salvere says about the product. • Repairs dry and dull skin by acting as a deep moisturizer. • Promotes a youthful appearance by reducing fine lines, wrinkles, and discolored skin. • Plumps the skin tissue, creating smoothness and vivacity. • It’s natural, reducing chances of side effects and bad reactions. • Easy-to-use and compatible with your regular beauty regime. Think Salvere makes some good points about why you should choose a hyaluronic acid product. This serum will arrive in a cobalt blue 2 oz glass bottle. As you can see it has a dripper type bottle. The product it self is clear, and free of fragrance. It’s the perfect consistency not to thick nor to thin. Salvere Pure Hyaluronic Acid “serum” is a great product for anyone wanting better skin. This product should be applied to clean, damp skin. Like to use this serum on my face & neck. Would suggest using this product twice a day. I need about 4 drops to cover my face & neck. Simply pat the serum into your skin with your finger tips. It takes about a minute to do so, and it absorbs quickly. 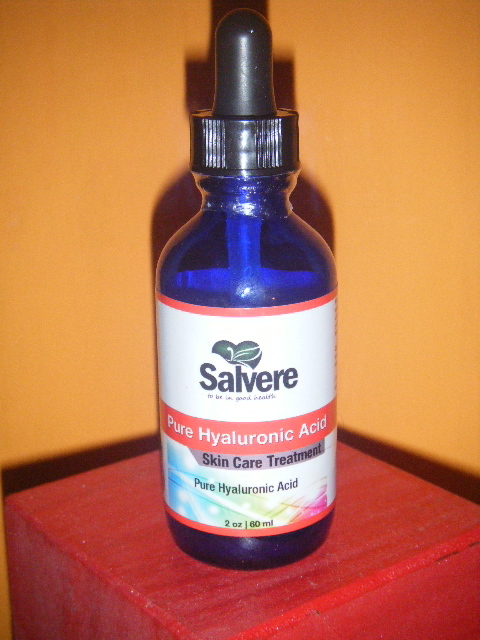 I have been using Salvere Pure Hyaluronic Acid “serum” for a month now. Since using this product my skin looks hydrated. Yes my skin does look plumper, and has improved elasticity. Best thing is that no longer have that dry flakey skin on my forehead. Happily I had no negative side effects from using this serum. Often with many serum’s your skin may react with breakouts with something new. My skin loves this product as absorbs it quickly. Have enjoyed using this product. Personally my skin felt so hydrated you may not feel the need to use a moisturizer, but that’s what works for my skin. Of course do what works best for your skin. I have also used this product on my elbows, and my are no longer dry or ashy looking. Please find the links below to purchase on amazon, visit Salvere homepage. Thanks once again for stopping by my blog. Feel free to leave a comment. If you have any products you love why not tell me about them. Love to find out about products my readers love using. Have a blessed day.